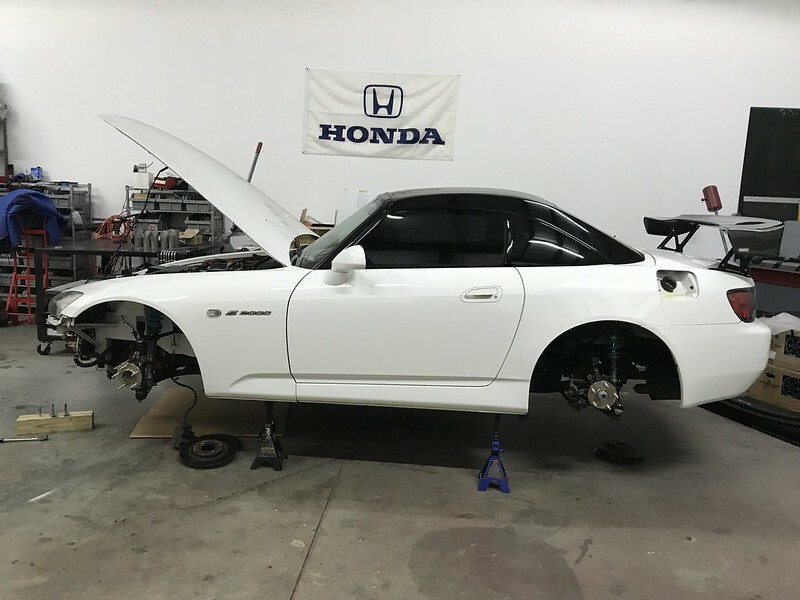 I’ve had my S2000 for over a year now, but have never found the time to get a build thread together. So bear with me as I have lots to catch up on. Owning an S2000 was inevitable for me. 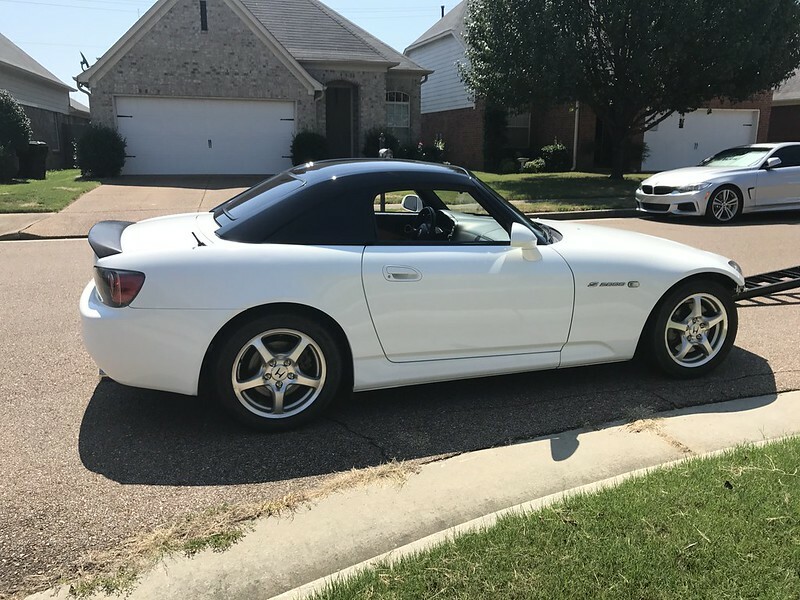 I have always been a Honda fan, quite a few of my friends owned them and the S2000 always met my expectations of what a fun weekend car should be (small, rwd, not tech or luxury heavy, etc.). All of this came to a head one day when I drove a friend’s AP2. Sure, my Evo 9 made over 400whp and drove great, but it did not provide the experience that the S2000 did. All I could think about after getting out of his car was selling my Evo 9 and replacing it with an S2000. Body and underside in great shape. My Evo came from up north and had its share of surface rust. Never, ever again would I deal with that. 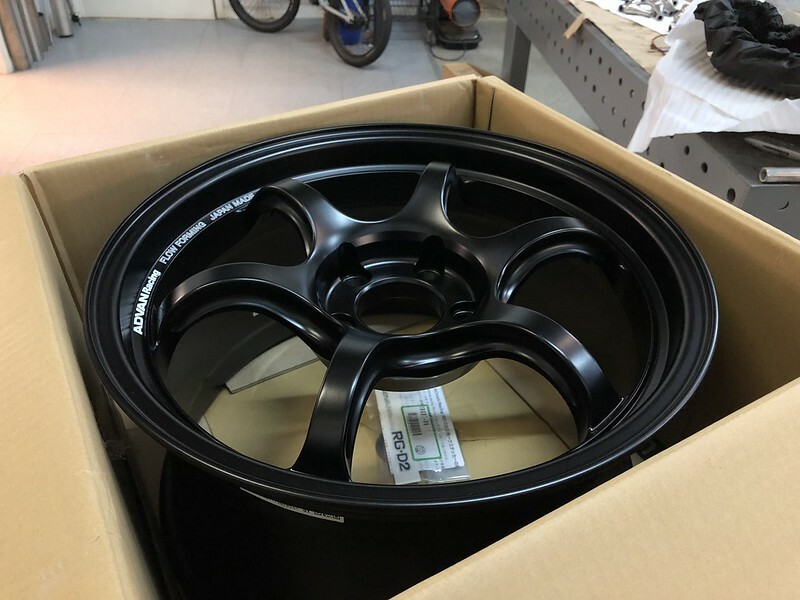 Needed to have an authentic OEM/Mugen hardtop or have enough room in the budget to go buy one immediately. I don’t like the convertible feel. 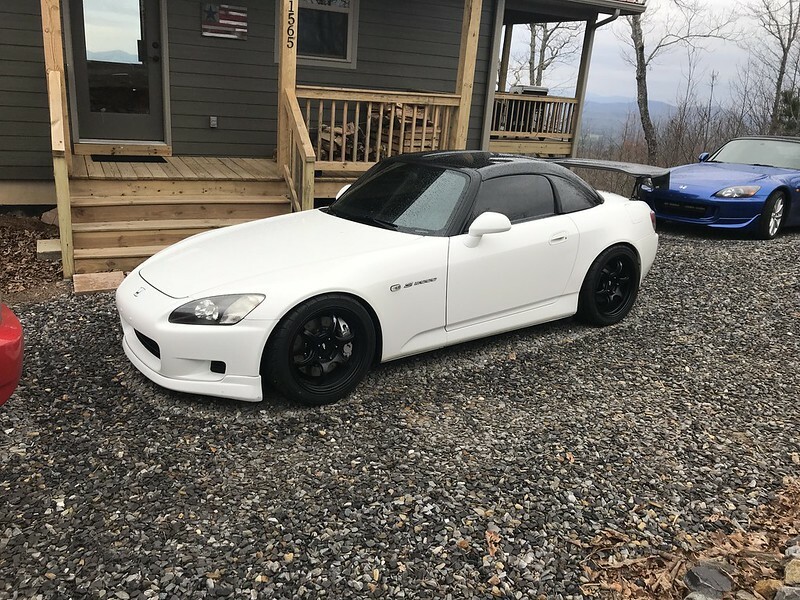 After a few weeks of loosely searching, the same friend whose S2000 started this whole thing told me he knew a guy who was selling an ’03 AP1. In GPW. 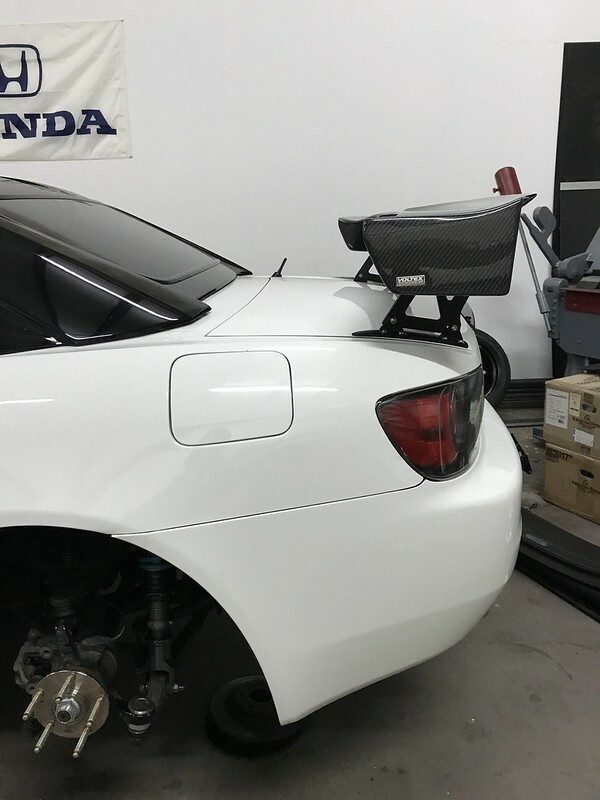 With an authentic Mugen hardtop that the would sell with the car………crap. In my mind, this had to be some sort of sign. A few weeks later I was knee deep in parting out my Evo and had given the owner a deposit for his AP1. In August of 2017 I went to go pick up the S2000 with another good friend. 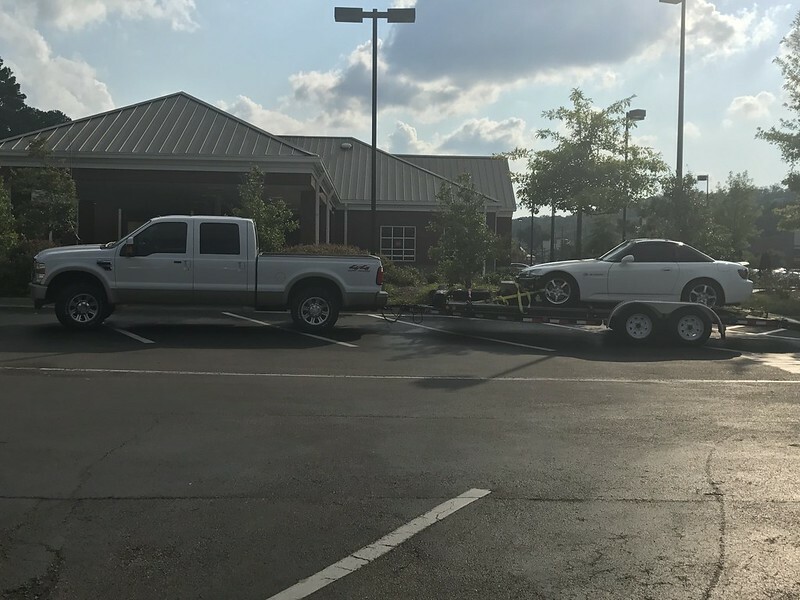 We needed to trailer it back as the previous owner had completely replaced every bushing under the car, added Spoon rigid collars, steam cleaned the subframes, cleaned and touched up the underside and also had taken off some aftermarket parts to sell (wheels, suspension, exhaust, etc) and it had not been driven since. 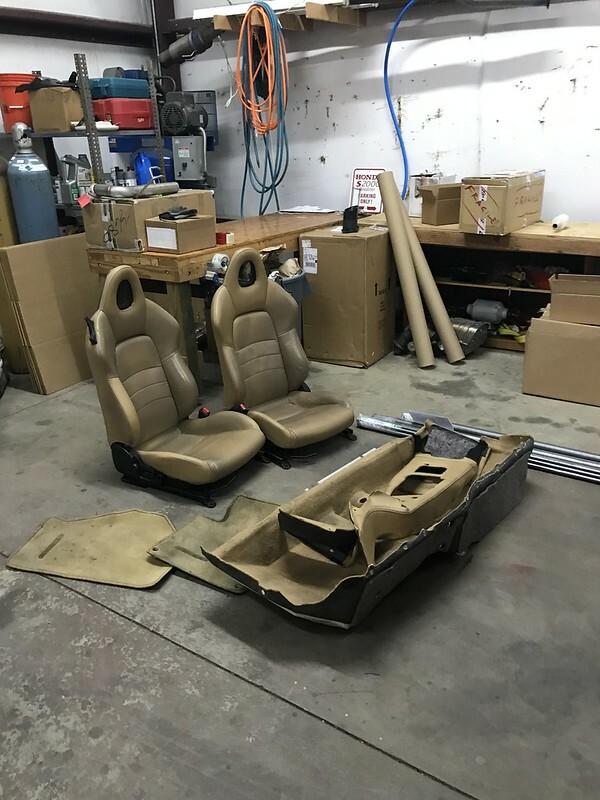 When we arrived, it was clear that while the AP1 had over 160,000 miles on it, it had been well cared for, especially under its then-current owner who meticulously went through the underside and also gave me a pretty expansive number of OEM parts to take back with me. 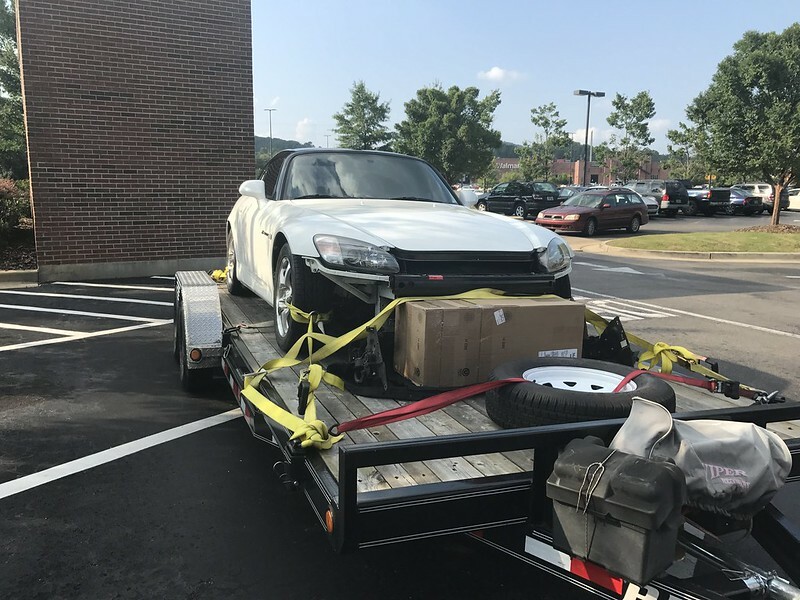 I felt really lucky to have snagged this S2000, and appreciated that the owner trusted me not to screw this thing up. On the drive back, I already began planning the path I wanted to take with the S2000. Generally, my long-term plan would be made up of 3 steps. 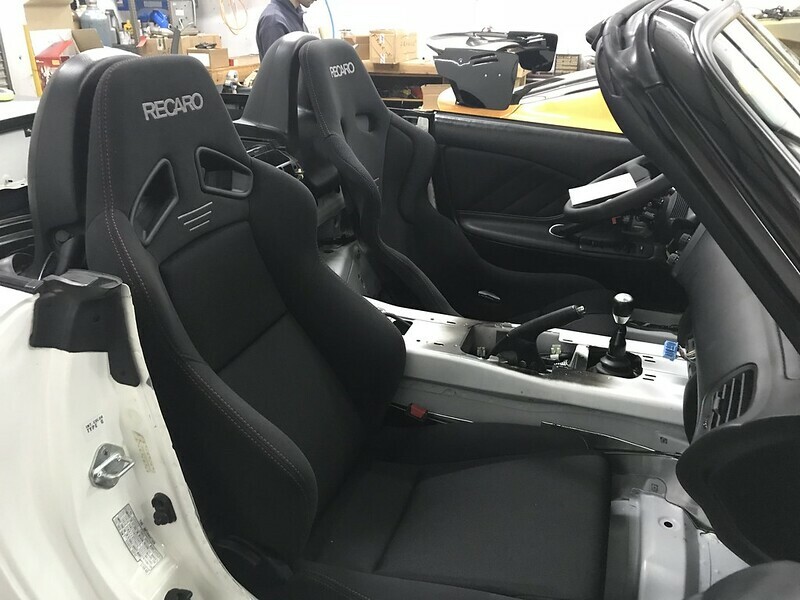 It took another 3 months to finish parting and selling my Evo, but in the winter of 2017 I started on the first phase of my plan for the S2000. First things first was fixing up the one part of the car that showed its age and mileage: The interior. 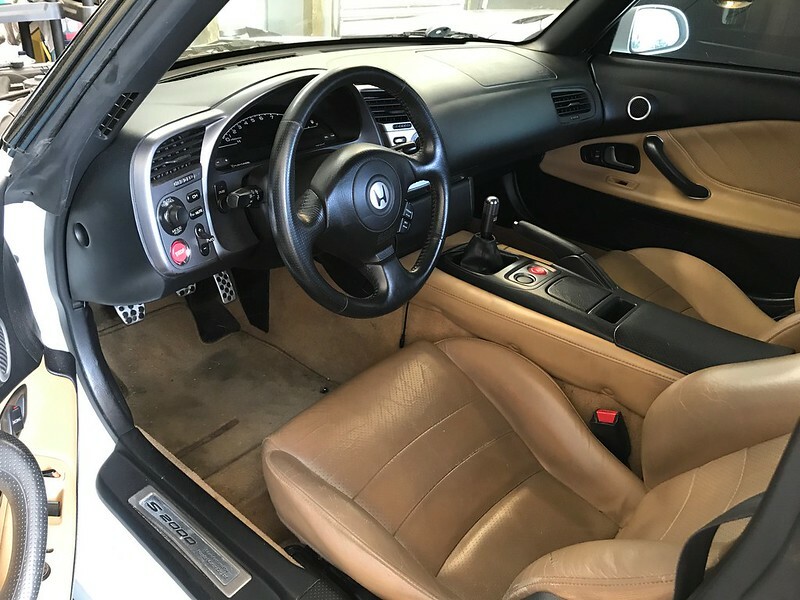 You can’t hide 15 years and 160k miles from a Tan S2000 interior. 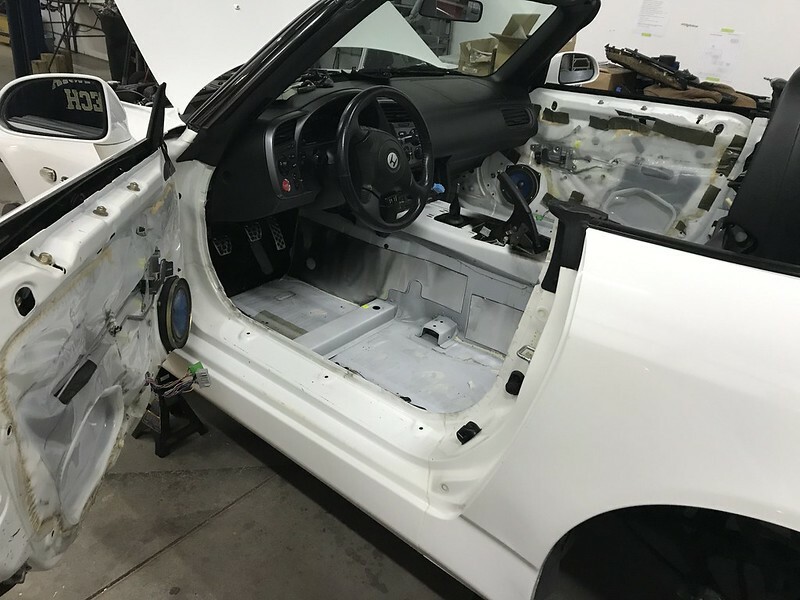 Over the course of a couple days, some friends and I (mostly the friends lol) stripped the entire interior out of the car and replaced it with a freshly cleaned black interior from another AP1 along with some new OEM parts like door handles and whatnot. 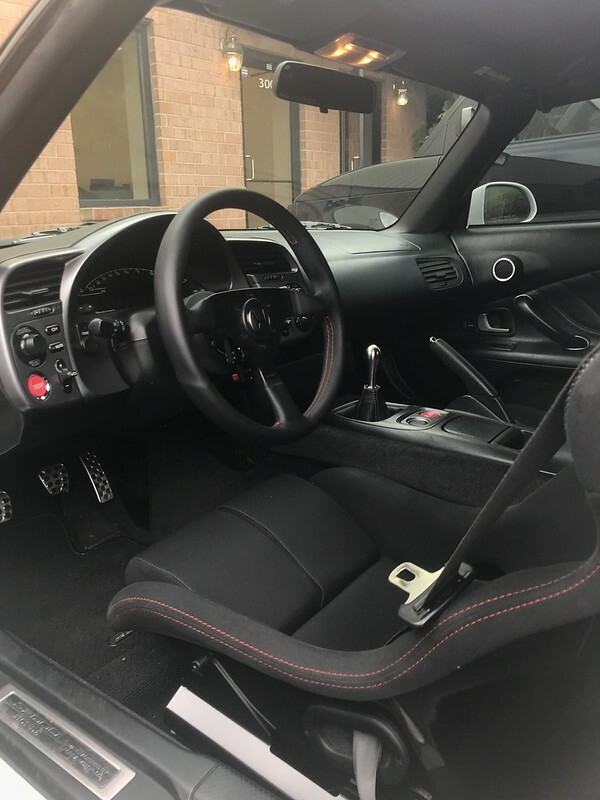 For whatever reason, a nice interior is even more impactful to me than a nice exterior, and swapping in a cleaned black interior made a world of a difference for me. 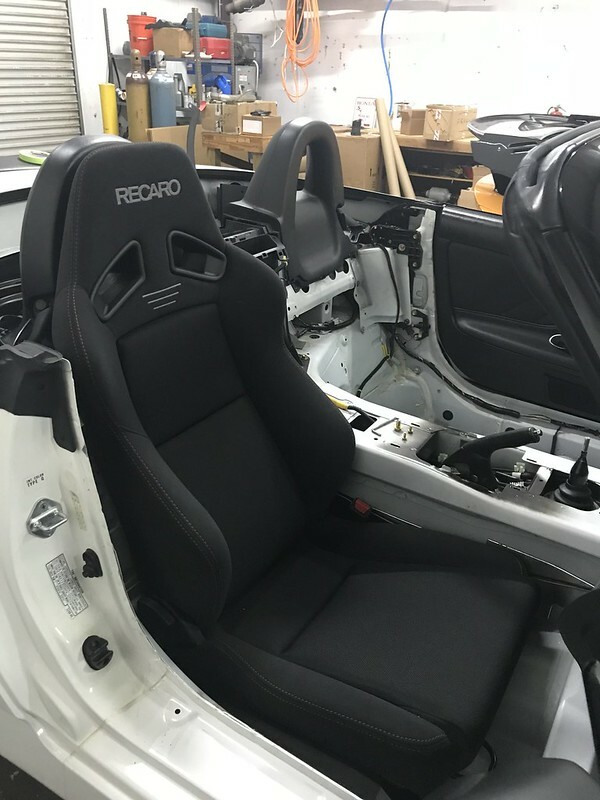 It felt like a brand new car inside and the new seats fit perfectly. The next point to address was the holes drilled into the trunk. 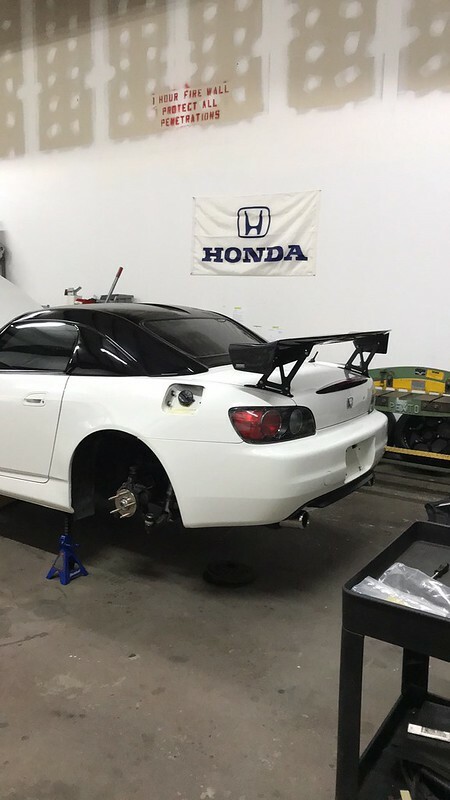 I went back in forth on what to do, but ended up getting the same wing the previous owner had, a Voltex 1S. 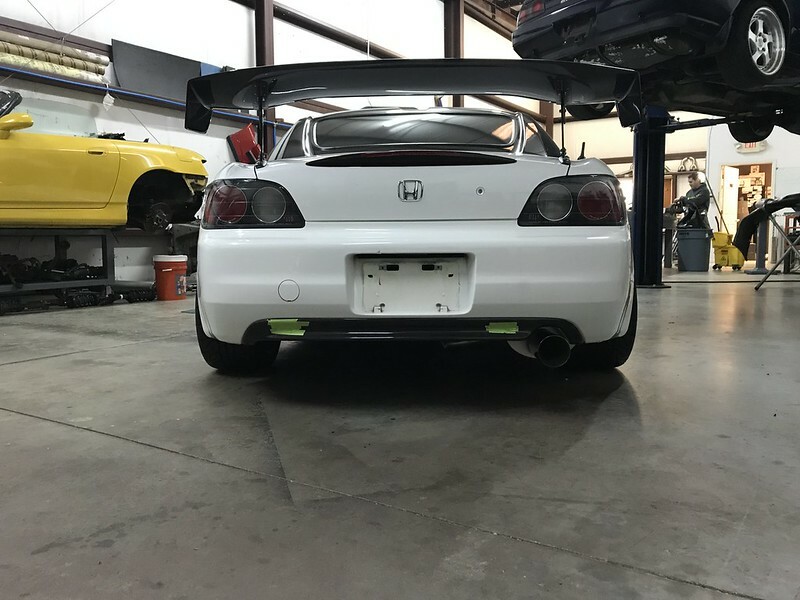 The 1S is one of my favorite wings for the S2000, and provided the exact look I was going for with this car - more purposeful but nothing over the top racy. It is a street car after all! The wing also dropped right in, no need to re-drill the trunk. Win-win! All of these parts outside of the Nitron dampers have been very well covered over the years. When I received the Nitrons (built to your specs, to order) I was blown away with the quality and finish of everything. 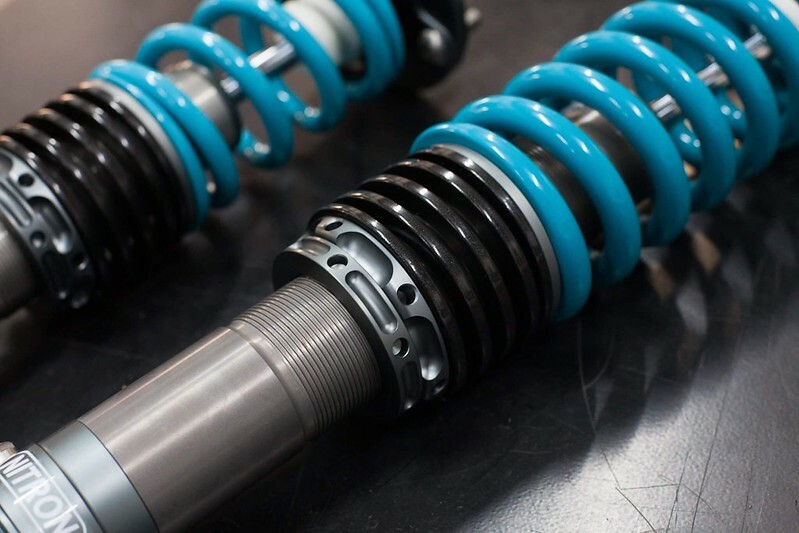 Aesthetically, they were definitely nicer than the Ohlins I had on my Evo. Based on their heavy involvement with Lotus and their motorsports experience, I also had high hopes for how they would feel on the car. After all of this, I was still not quite done. 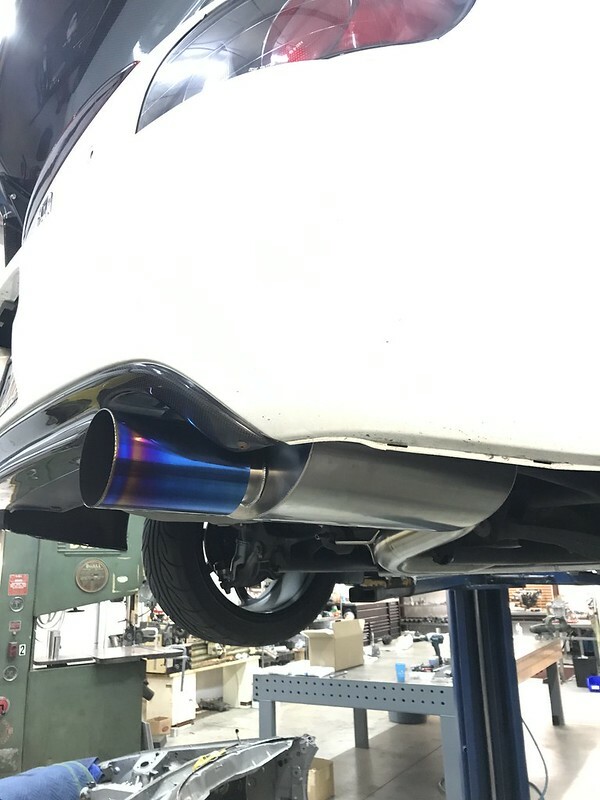 Nothing was wrong with the stock exhaust, but I had to get something a little more vocal. 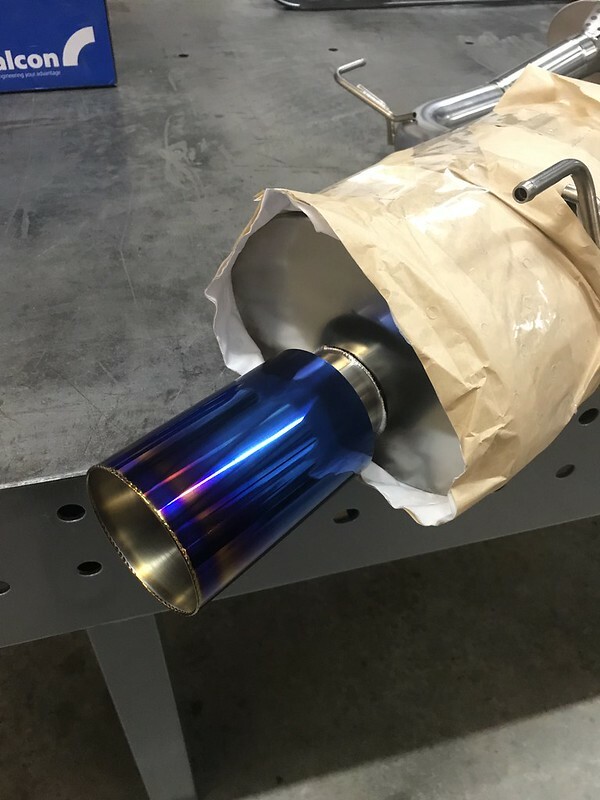 I knew I wanted a single exhaust, but I didn’t want it to be overly rowdy. As most know, this is not the easiest combination of attributes when you are dealing with a Honda. After combing through all of the options, I settled on an Amuse Euro S. However, I really wished they made it in 70mm instead of 60mm. So…..I asked Amuse if they would make me a 70mm version, and they said yes (for a charge of course…). Needless to say I was stoked. While I was eagerly awaiting for the Amuse to arrive I also ordered an EVS rear bumper cap so I would not have an empty hole in my bumper. Installing the Amuse Euro S required a tweak to the rear hanger that bolts up to the diff mounts. 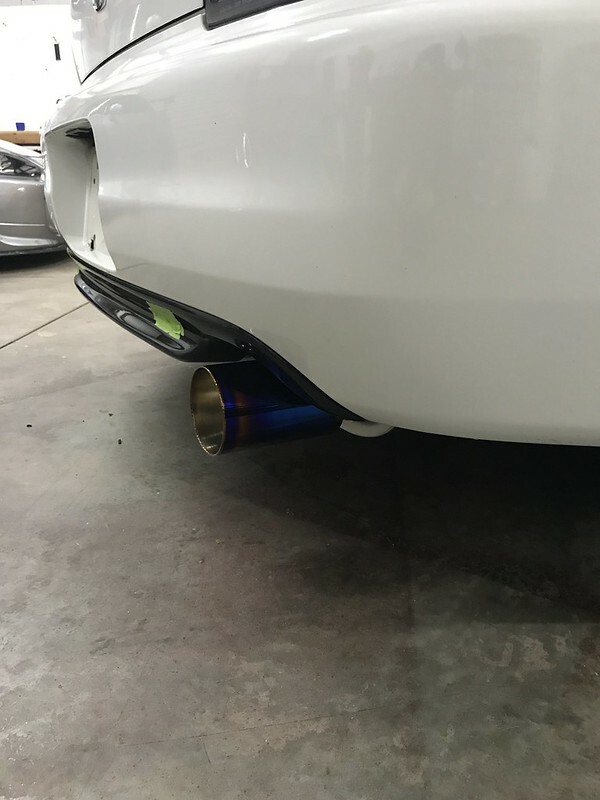 Once we did this, the exhaust fit perfectly. 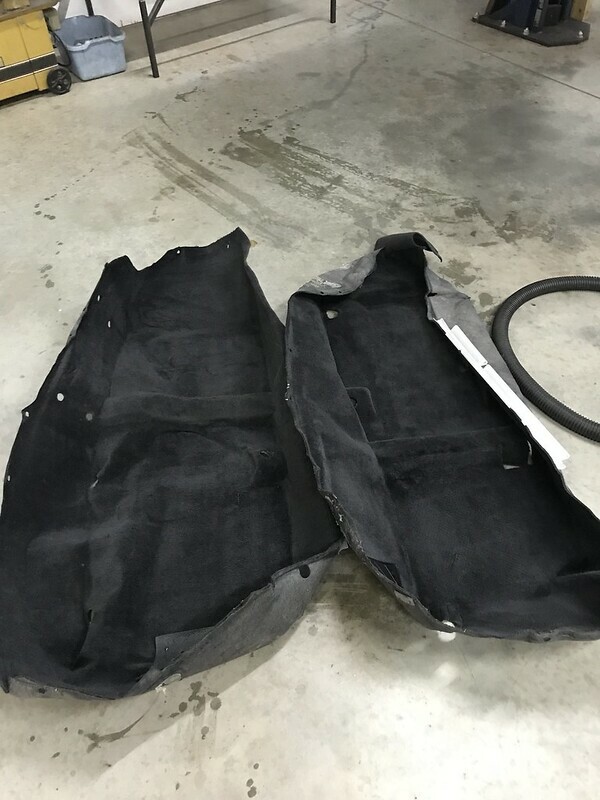 The EVS bumper cap also needed a stronger adhesive to fit the curvature of the bumper properly. I’m not sure if I really like the carbon look or not, I may end up replacing this with a cap that is the same color as the OEM trim piece. The exhaust on the other hand was exactly what I was hoping for. It is impressively quiet at low RPM and highway cruising but really opens up when the car is revved out. Plus, just look at it! I have never been impressed with a lot of JDM Ti exhausts, especially the J's ones. But the fabrication quality on this Amuse was very good. 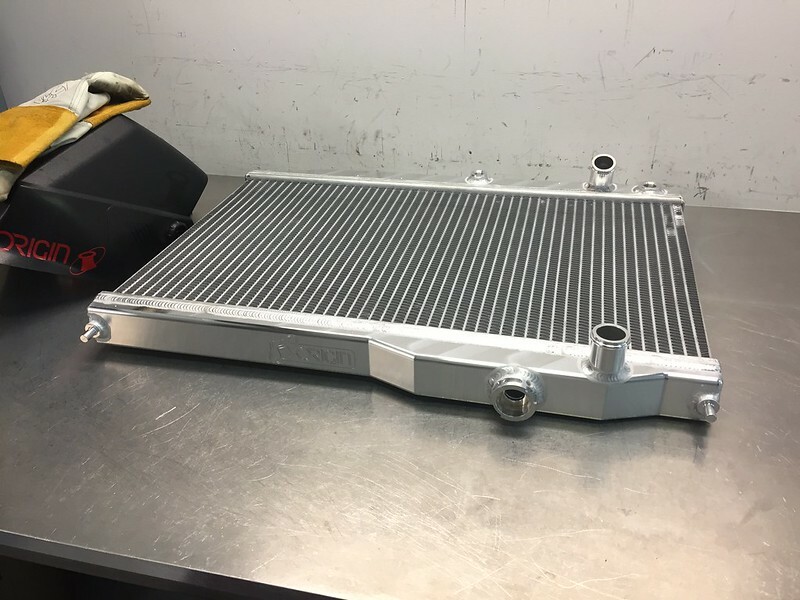 The final piece of the puzzle was replacing the original OEM radiator and coolant tanks. In its place I put an Origin Fabrication billet tank radiator and billet top coolant tank. For those who have not seen one of these in person, they are head and shoulders above most radiators on the market. The tanks are absolutely killer, the cores are top notch (no $80 junk core here - a single pass is enough for even most turbo track builds) and of course the fab work is excellent. Oh, and the cap mounts straight! 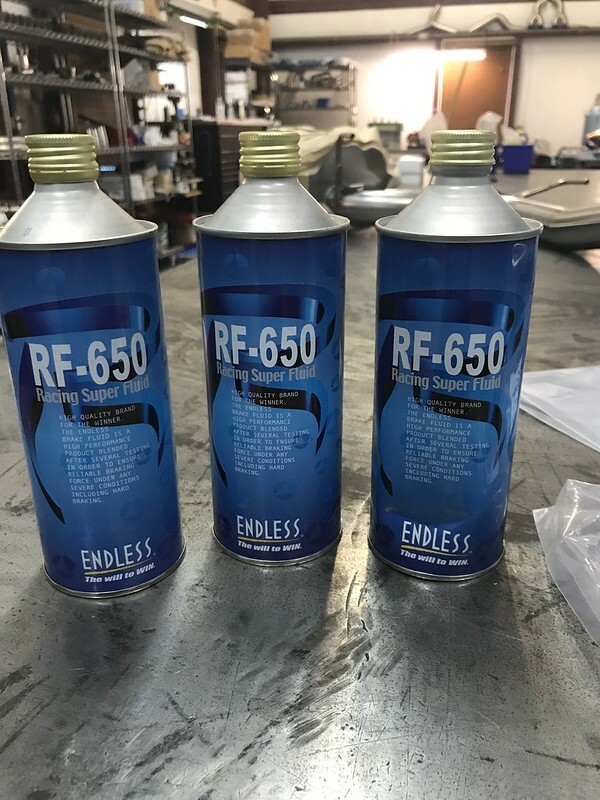 Once the radiator was topped up with Honda coolant and the car was aligned, it was finally ready to be driven. Last edited by awhit17; 11-27-2018 at 11:37 AM. One of the first chances I got to put the car to use was over a weekend spent near the tail of the dragon in March of this year. Unsurprisingly, the car did great. 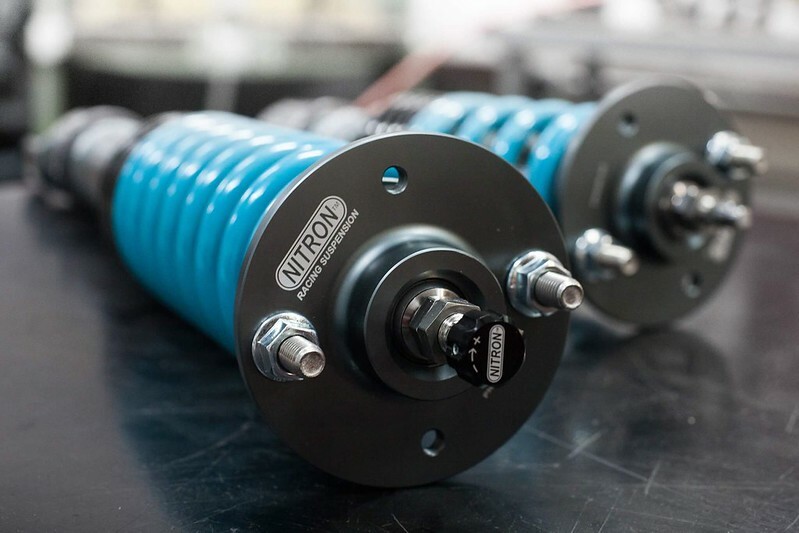 The most notable standout were the Nitron dampers - they are definitely firmer than an Ohlins setup (both with OTS rates or 12/11) at low speed, but how they smooth out as the pace increases while remaining very controlled is impressive. 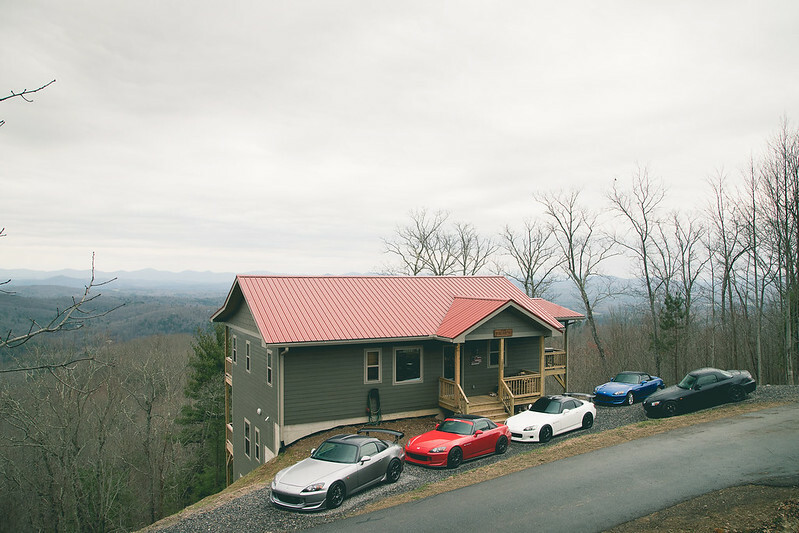 The whole trip affirmed that the S2000 was a great purchase. The enjoyment it provides is something that has not been matched for me in another car. 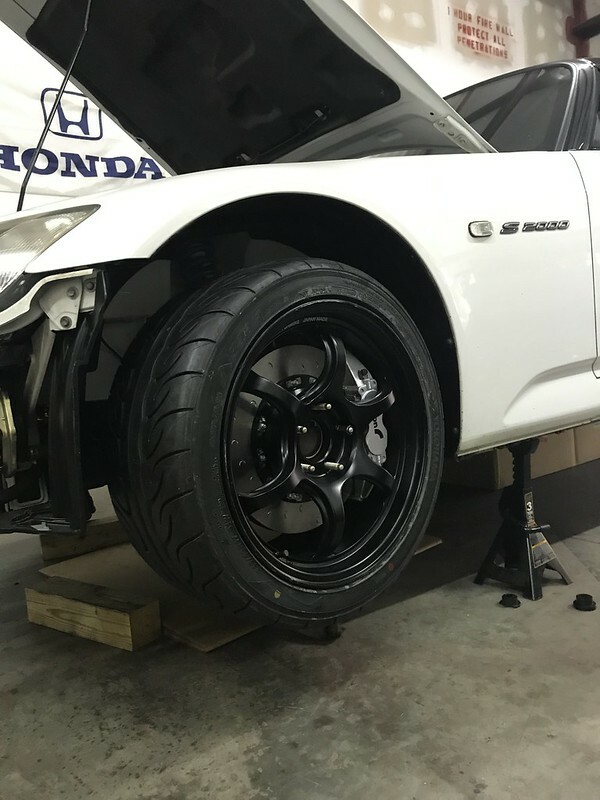 All I felt my fairly stock AP1 needed was either shorter gearing or a lower vtec window to add some punch in the 5-6k rpm range. 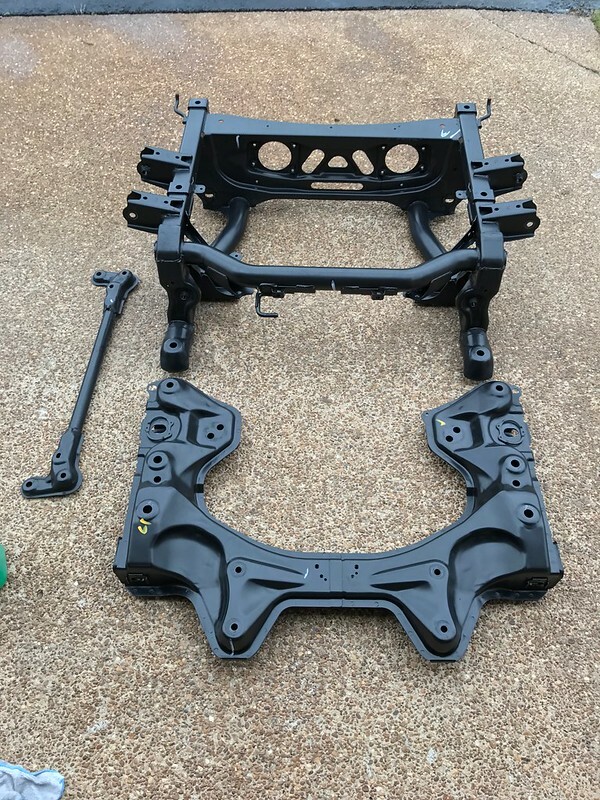 I have spent the rest of this year driving the car occasionally and planning out/acquiring parts for phase 2, a more in depth mechanical refresh to wipe the miles away. Hopefully this will happen in early 2019. 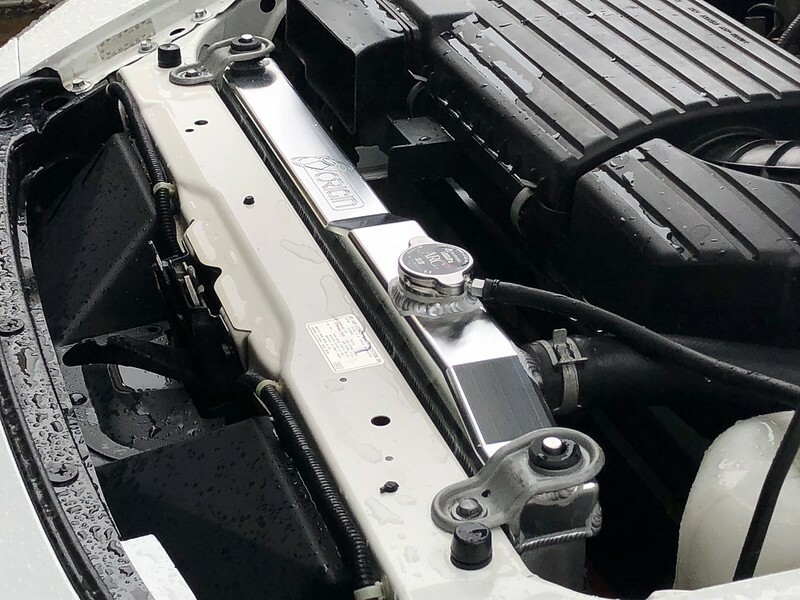 The only current point of concern is that the valve seals are definitely past their prime, so the car will burn oil/smoke a decent bit when driven hard. Other than that, everything is performing unbelievably well for having so many miles! Gotta love these cars. Last edited by awhit17; 11-27-2018 at 11:22 AM. Thanks. I'm a big fan of white cars so finding an S2000 in GPW was a huge plus for me! Also I updated the second and third post so there is more to read now. Hey Alex! ATS secondary gear and a tune will wake the car right up! Looks fantastic! WOW! That's an amazing restoration. Nice! Always wondered why you never had a build thread! BTW, why sell the Spoon block? !